Asus Padfone 2 vs Asus FonePad: Which should you buy? How much flexibility do you want in a tablet-phone hybrid? 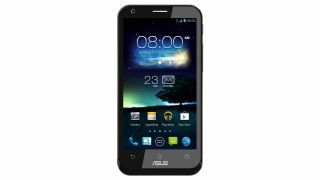 With the Padfone 2 and the FonePad, Taiwanese manufacturer Asus has established itself as the master of the Android hybrid. While Android smartphones continue to thrive and Android tablets - but for a few exceptions - continue to flounder, Asus has come up with a novel way to capitalise on the former and circumvent the latter. However, Asus doesn't quite seem to have decided on a definitive format. Both the Asus Padfone 2 and the Asus FonePad combine key elements of the smartphone and tablet form factors, but they go about it in very different ways. The Asus Padfone 2 takes the mash-up idea quite literally, presenting you with a decent upper-mid-range smartphone that slots into a 10-inch tablet dock when you want to go large. The FonePad, meanwhile, is an altogether subtler blend, offering a sleek 7-inch tablet that happens to accept a smartphone SIM for 3G calling. Join us as we take a look at how these two Android phone-tablet hybrids compare, and ultimately try to establish which you should buy. Both the Asus Padfone 2 and the Asus FonePad use Google's stock People app for managing your contacts, so navigating through to make calls is a pretty similar experience across the two devices. However, when it comes to the experience of placing calls, the difference is pronounced. The Padfone 2, when in its default phone state, is a thoroughly pleasant device to make and receive calls on. Its 4.7-inch display and relatively slim 10.4mm body make navigating its interface easy even while out and about, and lifting it up to your ear looks and feels normal. The odd circular groove pattern on the back even makes it quite comfortable to grip. The FonePad, by contrast, is unavoidably a 7-inch tablet rather than a phone, so holding it up to your face feels faintly ridiculous. In fact, scratch that - it's hugely ridiculous. Bear in mind that many people scoff at the idea of holding the 5.5-inch Samsung Galaxy Note 2 up to their noggins, and hopefully you'll see where we're coming from here. As a pure phone for making and taking calls, the Padfone 2's flexibility and fit-for-purpose design makes it the clear winner. Again, the messaging experience is nigh-on identical from a software perspective between these two devices. Both feature the same default Android messaging app, and the same native email application too. We've got mixed feelings about Asus's custom keyboard, but regardless of your preference there are plenty of fine alternatives on the Google Play Store. It's also another thing the Padfone 2 and the FonePad share, so it's hardly a deciding factor between the two. We're left, then, with the differences between the actual physical process of messaging on each phablet device. It's undoubtedly the toughest area to call. On the one hand, the Asus Padfone 2 offers the two extremes of messaging on the go - the potential for one-handed typing with the phone element and the potential for a full-sized two-handed typing option with the tablet peripheral engaged. However, the Asus FonePad's 7-inch display appears to strike a fine balance between the two. Held in portrait view in one hand and typing with the other, we found messaging on the FonePad to be an error-free process. It's just got that extra bit of breathing space that makes texting and emailing a solid experience. After a slow start, gaming has become an increasingly prominent part of Android devices, and with Google's planned social and achievement integration it's only going to get bigger.